I have really DRY & SENSITIVE skin so there are so many products in the market I can't use as they tend to make my skin itch. Just recently, the skin on my hands started peeling and CRACKING - Yes, THAT bad. It was so bad my fingers started bleeding. It got even worse when I was out of town. Luckily, I came back home to a pleasant surprise from Esemtan! 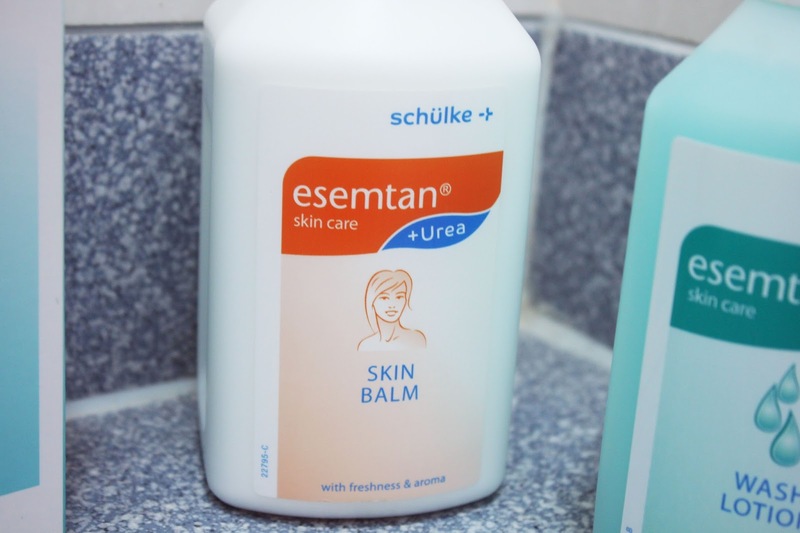 Being the really skeptical person that I am, I decided to google Esemtan online before trying out the products they sent to me. 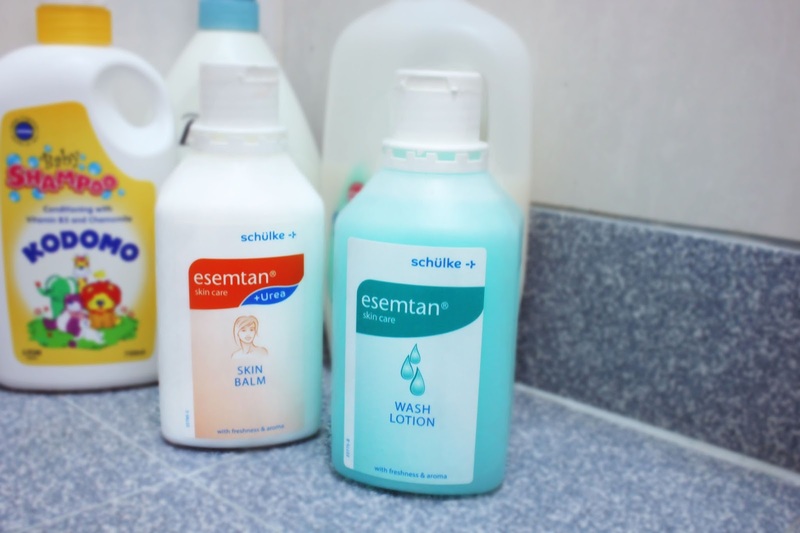 Did you know Esemtan is used by many leading hospitals in Singapore? 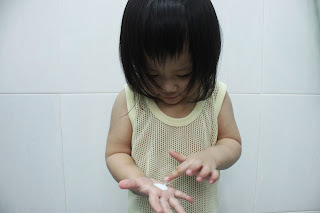 Like me, millions of Singaporeans suffer from dry and itchy skin. Ordinary soap can make things worse than it already is. 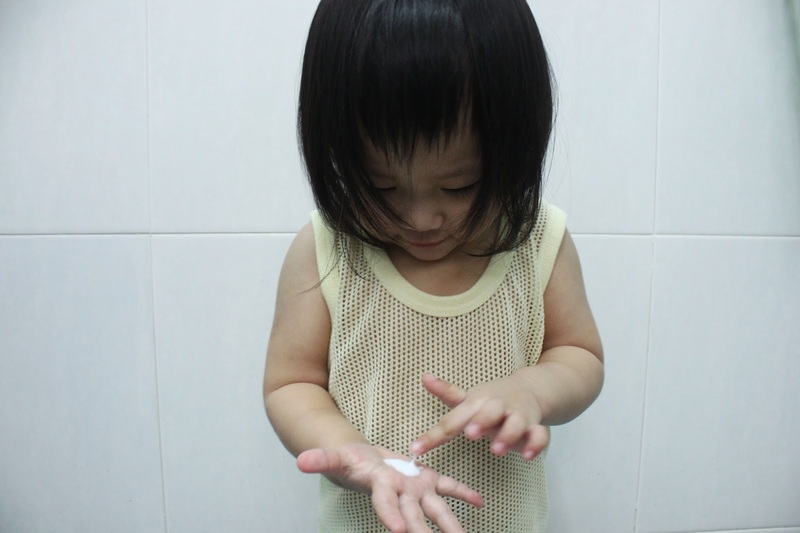 Some non-soap cleansers kill germs BUT they also wash away your skin's natural protection. 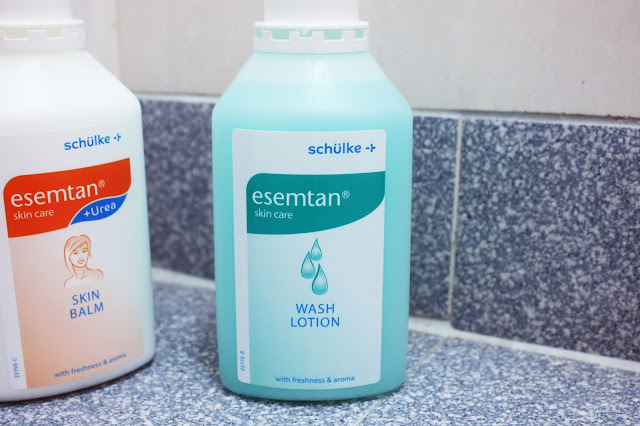 Esemtan is the one hygienic wash that DOESN'T HARM YOUR SKIN, damage your hair OR sting your eyes. It contains a protective moisturizer and oil restoring substance that leaves your skin feeling clean, soft and smooth. 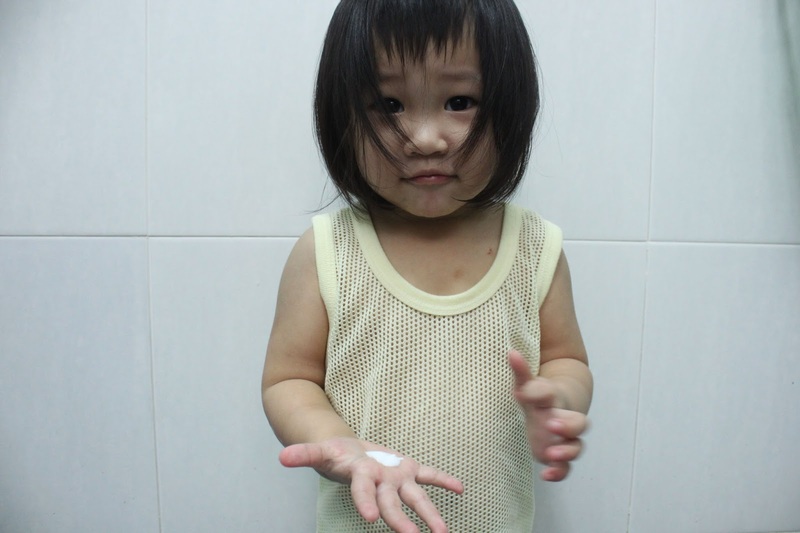 Its LOW 5.0 pH balance means Esemtan can be used for adults, and even babies every single day! Esemtan can help relieve skin irritation and accelerate healing process. 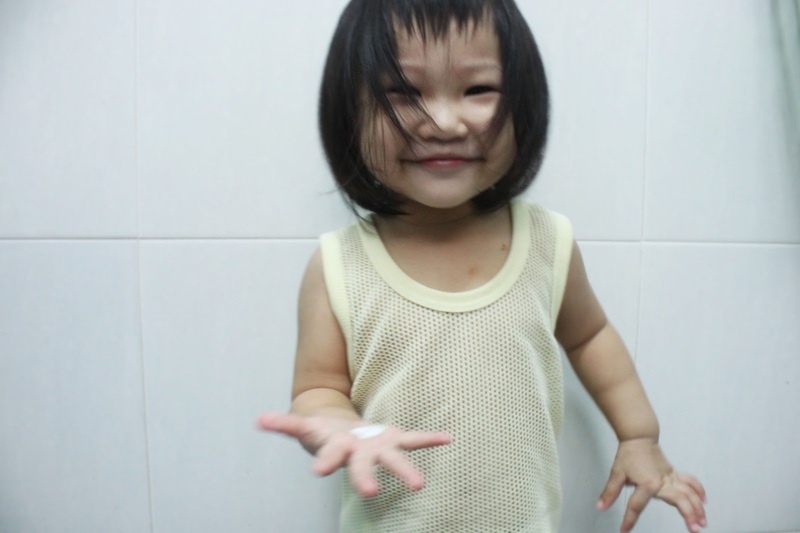 Since Esemtan is also suitable for children, I decided to try it out on Aaryanna as well. As you can see, I think Aaryanna APPROVES! I love that it doesn't have a strong scent (Cos those with strong scents means lotsa chemicals are used right?) but still enough to make you smell nice. Personally the wash lotion is a huge plus point for me becos you can use it from head to toe! Talk about convenience. Also, as I mentioned earlier, I have really really sensitive skin, so many products tend to make my skin itch. I was so glad that Esemtan doesn't. Featuring a balanced combination of fragrance and a gentle lather, this soapless wash is effective in removing dirt AND oil from skin. Esemtan offers a complete wash experience that is universally usable FROM HEAD TO TOE. The Esemtan Skin Balm provides ample moisturising benefits to the skin with its mildly fragrant and rapidly absorbing moisturising cream for hand and body care.